Obviously, this is a book review blog. I mostly read Young Adult books, but I try to branch out every once and a while as well! 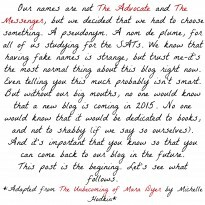 I thought (and still do think) that The Unbecoming of Mara Dyer was scary, but this was a whole new level. To me, Mara is a girl who is a little bit crazy who is believed to be completely insane. Jasper is the opposite- people think he's a little crazy, when in reality he's completely crazy. It wasn't the subject matter itself that freaked me out, though there were some pretty disturbing images, it was being inside of Jasper's head. I adored the psychological aspect of this book. Not only did it have you pondering what makes a person who they are- nature vs. nurture, but it also encouraged you to think about what motivates people to do anything, especially something as awful as mass murder. Amazingly, it even played with your head, making you believe that everybody is a suspect. While this book was talking about manipulation, it was manipulating you at the same time. This book operated on so many levels, and never failed to surprise me. While I found certain aspects of the writing style annoying, such as the repetition of phrases such as "dear old dad," the overall writing was unbelievable, and after the first couple of chapters, I couldn't stand to put this book down until it had been completely finished. The plot moved lightning fast, and there was never a dull moment, though I never found myself confused by what was happening in any way that I shouldn't. Even though I could have easily disliked Jasper (he has a tendency to mope and is [understandably] seriously screwed up in the head), I found myself really liking him and his voice. The language was refreshing and advanced, but not so obscure and difficult that it hindered comprehension or took to much thought. My one major complaint is the ending. Like The Giver, this book has what I consider to be a "non-ending," not giving the reader any closure. And while this ending was still more satisfying than The Giver had been, it still enraged me. I read the book, but didn't ever find out what I was reading it for. The author avoided resolving the main plot line, only halfheartedly wrapping it up to avoid dealing with the main mystery in any way that really mattered. After reading this book's title, I wrote it off as another stupid young-adult book, but I was pleasantly surprised when I found myself really enjoying this book. It was a good kind of freaky, intriguing and appealing to me on many different levels. 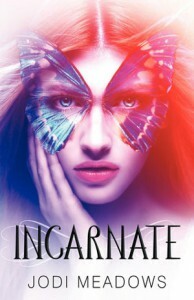 The twists and turns kept on coming all the way up until the end, leaving me wanting more even after the book was over. Sometimes, you're sure you won't like a book from the very first page. The writing style is all wrong, and the plot isn't anything like you thought it would be. You're tempted just to put the book down and be done with it, but you soldier on anyways just so you can finish the book and be done with it. You aren't expecting to have your expectations usurped, and it's very unusual for a book to do so, but there are always exceptions. The beginning of this book was a bit rocky. The writing style seemed strange to me, though I couldn't exactly pinpoint why. However, as the book progressed, either the writing got better or I got used to it, because I completely forgot it had been an issue in the first place. It's also quite possible that I got so wrapped up in the plot that I didn't notice the writing, as that happens enough to be likely. Either way, once you got past the first couple of chapters, the writing ceases to be a problem. While the romance was cute, it did something I'm growing increasingly sick of. It's not solely this book's fault, but I feel like every book's romance nowadays has some sort of culmination right before things start getting crazy. They finally kiss, and then someone gets arrested. They sleep together, and then the boy turns into a wolf for the final time, never to be human again. (I'm looking at you, Shiver.) It's alright every once and a while, but I feel like it's become a cut and dry staple of the Young Adult genre, and I never liked it all that much to begin with. This book had such a creative plot, that I sort of suspected a better progression of the romance, but maybe I was just expecting too much. This book blew my initial expectations out of the water. It was in no way faultless, but I still found myself more and more impressed as the book went on (except for maybe at the very end, when things just started going crazy). The characters were likable, and the book was easy to read, keeping me interested from the very beginning. I was delighted to be proved wrong, and ended up being glad that I don't like putting down a book once I've started it. While I might have a bit of a love/hate relationship with this series, I loved this book when I read it. Maybe it's a bit immature, but I was reading it at a time when immature was okay. This book was fast paced and funny, and, despite the fact that the rest of the series is what I like to call a "dumpster fire," this book was fun and not completely crazy. Even though the characters often annoyed me, I still found myself liking them. They were light and humorous, even if I felt like sometimes they had gone off the deep end. I totally ship Fax (Fang and Max), and anxiously waited for the two of them to get together. Angel creeped me out more than a little, and I couldn't understand Max's fascination with her, but I didn't dislike her as much as I would come to do so in the future. I liked the whole family aspect of everything, but found the other characters forgettable, found all of them a tad bit annoying, and sometimes I felt like there were too many of them. 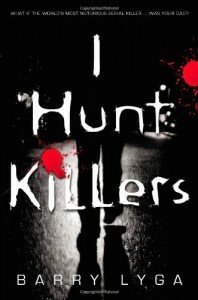 This book was fast paced, and I really enjoyed how quickly things moved. Often, they would go on these random tangents, but I didn't really care too much, because even though they weren't really part of the main plot, they were entertaining and action-filled, not just random rambling bores. I would have preferred to have a few less tangents, but they didn't significantly harm the plot in any major, significant way. So, while I might not suggest the entire series to every person I meet, I really did enjoy this first book. It was fast-paced, entertaining, and even funny at some points. I can understand how some people might not enjoy the humor or the plot line, I think it's aimed at a younger audience, but when I first read this, I was that younger audience, so I liked it well enough. Each element on its own may have been a bit lacking, and in need of some fine-tuning, but when it all came together, I found myself quite satisfied. When I saw this book at the bookstore, I saw it as the book that Miss Peregrine's Home for Peculiar Children could have been. So, for Halloween, I decided I would give it a try. And while this book wasn't quite what I was looking for, it was still better than MPHFPC. I think the style of book is a hard thing to master, and I have yet to see someone who truly does it well. One issue I had with this book is that I feel like the story is shaped around the pictures, not the other way around. The pictures seemed to be the focal point, and the rest of the plot just seemed superfluous, supporting the pictures instead of being supported by them. Hunches were followed and taken as fact for the sake of advancing the plot, and it left me feeling cheated. I felt like things were overly simplified, and important things were often poorly explained. The author chose not to explain important plot details, but to instead take the easy way out. As a person who very much enjoys characterization and character depth, I was very disappointed by this book. I felt like all the cards were shown too early, leaving nothing for me to discover. Information was spoon-fed at the very beginning, and very little was learned about the characters after the first twenty pages or so. I would have liked more character development, and some more complex characters. They seemed simple, and I felt like little thought was put into them and their relationships. Two of the characters date, but their romantic encounters are incredibly anticlimactic, and pretty much unnecessary. While this book was better than the other, highly similar book I've read, it still wasn't my favorite. The plot was interesting enough, but I found the characters incredibly lacking. The book felt sort of half-baked to me, and I would have appreciated that more thought would have been put into both the plot and the characters. I felt like the book relied on the picture idea to carry it, and the rest of the book suffered because of it. But, I can see how people could be into this kind of thing, especially photographers or more artsy people. I often struggle with categorizing this book. Is it a dystopian? Sci-Fi? Both? I don't know. All I know is that I like it. This book might be a quick, short read, but it is certainly sweet. This book moved quickly, not leaving any time for even the most distracted reader to be bored or lose interest, and I really enjoyed the quick action and fast pace. I think part of the reason I liked this book so much is that I read it at the right time. I was old enough to appreciate it, and not be freaked out by the daunting maze and violent deaths, but not so old that I was nitpicky or expecting too much. I think this book is geared towards a bit of a younger teen audience, and I fell right within the target range. Maybe if I had read this book for the first time now, when I'm older, I wouldn't appreciate it as much. But, luckily, I read it at the right age, and was able to fully appreciate it. One of the best things about this book is it's plot line. It may not be the best, most igneous plot line ever, but it IS original. To date, I cannot say that I've read anything like it, and I really appreciated the change in pace, especially when so many books are so similar. It kept me on the edge of my seat the whole time, and it kept me turning pages, something that can sometimes be difficult to do. I enjoyed the characters, and found myself rooting for all of them from start to finish, and found myself even liking some of the characters I maybe wasn't supposed to like. This book might not be some genius literary accomplishment, but it was an enjoyable read. I remained interested throughout the whole thing, and found myself highly invested in all the character's outcomes. And while the rest of the series may have been less likable than this first book, I will always consider this book to be one of my favorites. I was actually surprised by how much I liked this book. Normally, I'm not one for classics. 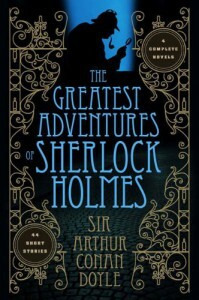 But, since I enjoy watching BBC's Sherlock, and always believe that a book should be read before the movie (/TV show), I decided reading this collection of stories was something long overdue. Up until now, I had avoided reading this book because I generally find the writing style of classic books boring, and the plots slow. However, this book was a welcome exception to what I had believed to be a rule. I really enjoyed the writing style, and I was never bored for a second, even though it was sometimes easy to get distracted by other things. The version I read had the 4 novels, A Study in Scarlet, The Sign of the Four, The Hound of the Baskervilles, and The Valley of Fear. Overall, I found the longer stories very entertaining, and it was interesting to guess and see what Sherlock would do next.The mystery was surprisingly easy to follow, but in no way predictable. However, I disliked when the story went on a tangent of sorts, like in A Study in Scarlet, when it talked about Mormons in Salt Lake City for five chapters or something, and the book turned from being an entertaining fiction to a drawling history. Even though the story gave the reason for the murder, I would have preferred just a couple of sentences, not a couple of chapters. As for the short stories, I would have preferred them to be a little bit longer. However, knowing that they were originally written for a newspaper-of-sorts, their length makes perfect sense. But from where I was standing, I felt like the endings were too abrupt. Their would be a lot of background information, and often the mystery would be solved in a second. Additionally, I felt like a good part of them was just filler, and I found myself getting distracted or half-reading quite often. Despite its flaws, I really enjoyed this book. It is one of the few classics I actually liked to read, and I loved reading it, even though it was really, really long. It definitely takes a while to get through, but I was never bored! Like City of Bones, this was a book I chose to read after seeing a movie preview. Maybe that's a poor choice to make, but whenever I see a movie, I can't help but think "It must be pretty good if they're making a movie adaptation." The problem is that this creates a pretty high bar, and it's difficult for any book to measure up with that. Honestly, if I hadn't started this book expecting it to be something amazing, I would have liked it a lot more. Even though I thought the flashbacks were, for the most part, handled well, I did have a bit of an issue with the timing. Rarely any context was given, and it was often difficult for me to figure out when everything was happening. It bounced around so often, and I couldn't be sure if a day, a week, or a year had passed. Eventually, I was able to figure out what was going on, but it made for a confusing plot. Additionally, almost all the flashbacks were either to a time that was incredibly awkward, or a time when they were arguing. I understand that flashing back to times when everything was perfect and happy might not be interesting, but it made me dislike the characters, and I sort of got sick of them arguing. My second pseudo-issue was Adam. I can see how other people might like him, but we just didn't click until the very, very end (last few pages). Mostly, I blame the fact that I pretty much only saw him when he was arguing with Mia, but I felt like the way he dealt with things annoyed me as well. But his soliloquy at the end made me melt. He hit all the right chords. His speech was selfless, and I knew he meant what he said. I just wish that I had seen a bit more of that Adam throughout the rest of the book. Despite the high standard, I still found this book quite enjoyable. It wasn't exactly what I thought it would be, but it didn't fall too flat of my high expectations, which is quite an accomplishment. I would have preferred to see a bit more of Adam's and Mia's actual relationship, when they weren't arguing, but was still pleased with what was presented. While I didn't find this book extraordinary, I still enjoyed it. This book was not what I expected. Sometimes, that can be a good thing. Other times, not so much. This was one of those other times. After reading the description, I had been expecting a book like The Distance Between us, which I loved, and which this book was nothing like. Normally, I can count on the Library of Congress Information to paint an accurate picture of the story, since it tends to be more truthful than the description given by the author. For the first time ever, that information let me down. Half the time, I had no idea what was going on. I was constantly trying to figure out what had been written, and had a hard time extinguishing what was a metaphor and what was real. I consider myself a pretty intelligent person (though definitely not the smartest out there), but the writing just made everything so confusing. Some people consider this book a mystery, and I can see why, with the whole amnesia angle, but parts of it weren't mysterious. They just didn't make sense. There's a difference between mystery and not having an explanation for events. My second complaint is the amnesia. I think amnesia is a very much overused plot device. I think it's possible for it to be used correctly, like in The Unbecoming of Mara Dyer, but I also think that it's very easy for it to be used poorly, and become cliché. In this book, it managed not only to be a cliché, but also to make the plot rather anticlimactic. I would have much rather read a book about Summer Fifteen than get these flashbacks, which managed to take exciting events and make them almost bland. This book was not my cup of tea. I suppose I can see how other people might like it- after all, a glowing quote from John Green, whom I consider to be both one of the best authors and best people, is embossed upon the cover, but I wasn't a fan. I didn't particularly care for the plot, the characters, or the writing style. It certainly wasn't the worst book I've ever read, and when I wasn't confused out of my mind, I sometimes found that I enjoyed it, but I wouldn't consider it in the better half of books I've read. I can see the appeal, but this one just wasn't for me. v=I still consider this book to be the only good book I've ever had to read for school. If I'm being truthful, I haven't read this book since I was young, but I still consider it to be one of my favorite books. So, in honor of the movie (which I am very excited to see!) I decided to write up a review for this excellent book. I think the thing that I liked most about this book is the imagery. 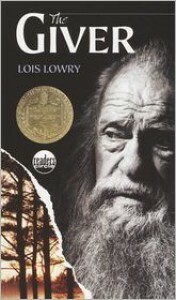 I think that Lois Lowry really paints a picture. Many of the scenes are chock-full of vivid imagery that really comes to life in your head. Jonah lives in a world that's flat and black, so Mrs. Lowry puts extra effort into painting a picture with her words. The action scenes are full of description, and typically fast paced. This was my first introduction to dystopian societies, and it still remains one of the best in my mind. There aren't very many holes, and the world-building was excellent. This book was far ahead of it's time, and many books nowadays seem to be modeled after this one. I consider it one of the grandfathers of modern dystopian novels. My major complaint about this book is the ending. If you can even call it that. I've read one of the later books, so I know what happens, but at the time, I thought this book was a standalone, and the "ending" enraged me. Simply put, it's not the ending. Jonah goes over the hill and...the books over. You decide what happens next. Sure, some people might be into that kind of thing, but I think it's the author's responsibility to actually write an ending for her book. 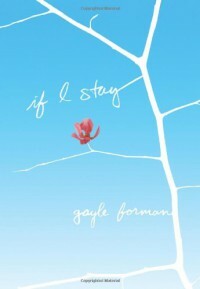 Other than the ending though, I adored this book. I couldn't put it down, and even though it's a short book, it didn't take me very long to finish it. I will always consider it to be one of my favorite books, and even though it may not be one of those books that I come back to over and over again, it will always have a special place in my heart. Despite my blog's name, I had never heard of this book until a few months ago when someone, seeing my name on Goodreads, asked me if I had gotten inspiration from this book. Unfortunately, I can't remember who commented this (If you're reading this, please comment or message me so I can give credit where credit is due), but I did remember this book, and I decided to read it. 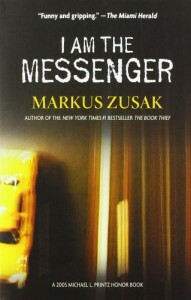 Let me start by saying that this is my first Markus Zusak book. I had heard of The Book Thief before, but didn't find it to my liking when I tried it at first, not making it past the first couple of pages. It's definitely possible that his style just doesn't agree with me, and there are no real problems with this book. However, I did have some issues with this book. My first complaint is that it is incredibly confusing. I consider myself a pretty intelligent person, but I couldn't figure out what was going on half the time, especially towards the end of the book. I had to reread the last twenty-ish pages a few times in an attempt to figure out what was going on, though it didn't help me any. But it wasn't just the end that was confusing, the whole book had these random what's-going-on moments, and sometimes I felt I was missing pages, because I could find no explanation as to what was going on and why. I understand that this book is a mystery, and I'm not supposed to know what's going on all the time, but to me, this just felt like it was called a mystery so the author wouldn't have to explain things that really needed explaining. Other than that though, my main issue was that I honestly didn't care about what happened at any point during this book. I didn't care about what happened to the characters, and I didn't care what happened next in the plot. However, this book wasn't all bad. I thought the plot was really cool, and while I wasn't Ed's biggest fan all the time, I generally liked him. I loved the Doorman, and most of the time I found the other characters agreeable enough. I didn't dislike reading this book, though it didn't quite live up to my expectations. Still, I can definitely see how some people could like this book and this kind of writing. I just don't think it was for me. When I saw this cover, I knew it was something I needed to look at. When I read the back, I knew it was something that I needed to read right away. Luckily, I was not let down. This book was far from perfect, but it still managed to be surprisingly good, and I found it difficult to put down. This book reminded me a lot of Harry Potter, even though the subject matter is quite different. Everyone says it's like I Am Number Four and The Maze Runner, but I got a strong Harry Potter vibe. A likable, heroic young boy who has always been a little different from anybody else, discovers that he can do strange things that are sort of magical and goes to a boarding school. He groups up with a some kids, who are misfits in their own rights. 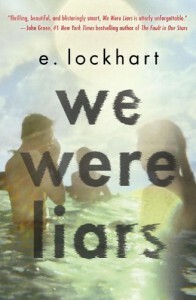 While Ajay and Elise have no parallels, Brooke bares a strong likeness to Hermione, and Nick reminds me a bit of Ron. 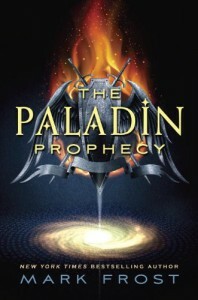 The books aren't exactly the same, or even too similar, but The Paladin Prophecy did bear a feint resemblance to the well-loved series. My one major problem with the book was the romance. Maybe I'm alone in this (though I highly doubt I am), but I don't think that every Young-Adult book needs romance, and if the time isn't put into making the romance good, then it really isn't necessary. I have no doubt that Mr. Frost can write a good romance, but in this book, there wasn't nearly enough time spent on it. It was poorly developed, and throughout the book, almost nothing happens between the two characters, but then suddenly they're kissing? I didn't feel anything between the characters, and frankly, this book really didn't need romance anyways. There was already enough to keep me occupied, and this was a black spot on an otherwise nearly-incredible book. Really, the only other problem with this book was that I felt like the characters were rather one-dimensional, and fit simply into stereotypes. Will's the brave hero. Ajay's the smart geek. Nick's the athletic idiot. Elise is the witty rebel. Brooke's the passive goody-two-shoes. There was little character development, and though the characters were definitely likable, they were also quite flat. Even though this may sound like a bad review, the book really was good. It was fast-paced, a bit mysterious, and generally well-written. There were flaws, yes, but the book remained likable despite of them. I definitely look forward to reading more from this series and this author! Grim Reapers. Next big Young Adult Paranormal craze? Though I never imagined myself saying this before, but I think I'd be open to that, if this book is any indication. It was nice to read something new that wasn't vampires, werewolves, angels, or aliens. Still, no book is perfect, and there were definitely some elements that I wasn't a huge fan of. The humor was one of the main bragging points of this book, but to me, it wasn't quite worthy of all the praise. I felt like the funniest moments where when the author wasn't trying to be funny, and some of the jokes felt too forced. While there were parts that caused me to laugh out loud, I felt like for every good joke, there was also a joke (or two) that was just as bad as the other one was good. I suppose they were probably just as funny as the others, since other people seemed to like them plenty, but they just weren't my kind of humor. Another aspect that was a sort of hit-and-miss were the characters. Sometimes, I genuinely liked the main characters. Other times, I found myself close to hating them. Lex was pretty off-and-on, and though I liked Driggs most of the time, even he managed to annoy me more than normal. Sometimes, the charachters seemed quite intelligent, while other times they were as dumb as a box of rocks. When I liked them, I really liked them, but when I didn't, I really didn't, and I would have preferred some more consistency at the very least. Finally, while I'm normally enjoy puns and plays on words, I felt like they were a bit forced in this book. Everything in the town was given a name relating to death, along with some of the characters, and it honestly got old a bit fast for me. After a while, it just seemed immature and childish. I felt like they would have been a lot more efficient they had been used more sparingly. However, despite it's flaws, I really did enjoy this book. It was creative, and so far I haven't read anything like it, though I predict that might not hold true in the future. I can see how many people can enjoy the humor that I didn't, and predict a surge of popularity for this book, and its subject matter, is inevitable. Forget The Fault in Our Stars. This is the saddest book I have read to date. As soon as you start to read it, you'll realize why. I guess I should have figured a book which takes place in a world where teen suicide is commonplace would be sad, but I didn't foresee it being that sad. By the first fifty-something pages, I was already on the brink of tears. Still, despite the fact that this book made me sob like a baby, it was also incredibly good. The plot was rather inventive. While the society may not be considered complex, it was well-thought and detailed. 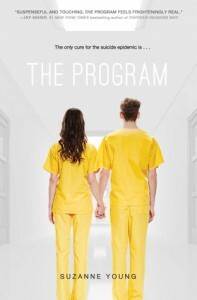 I found the solution to the teen suicide problem- The Program- to be incredibly stupid, but also incredibly interesting. It raised all sorts of questions about what makes a person themselves, how people and governments react to epidemics, what causes depression, how depression should be dealt with, and what memories are worth, as well as inspiring thoughts regarding nature vs. nurture. While the book has a solid plot, what really pushes it over the edge is the characters. I found Sloane quite admirable, especially given everything she had been through. She had a determination that I couldn't help but appreciate. I also liked how she was tough, without being afraid to be weak/emotional at times as well. Plus, I found her compatriot James rather likable as well, and I'm not normally a fan of characters like him, though some of my reviews may suggest otherwise. Which leads me to the romance. I was a bit skeptical when I found out that they were already dating, since I find the start of a relationship one of my favorite parts, but I wasn't let down. Not only were there a few intricately woven "flashbacks" of sorts which gave some snapshots or the beginning of their relationship, but the relationship that was there was just as interesting and entertaining as the beginning. With the combination of the two, I was more than satisfied. Plus, I enjoyed how they both drew off each other, and were equally dependent on their partner. Additionally, I found that I enjoyed the change of pace from the mainstream, following them fall in love, sort of thing. Even though this book made me cry more than I could have thought any book could do, I still found myself really enjoying this book. Everything about it worked for me, and I really can't make any complaints. 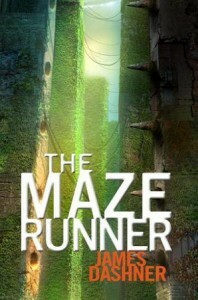 It was different in many ways from the average Young Adult book, and it was refreshing to get something new and fresh. I wanted to like this book a lot more than I did. I saw it a few years ago in a bookstore and thought it looked really good. I added it to the list of books that I should read, and when I saw it in the library a few days ago, I picked it up and took it home. Now, a part of me wished that I had left it on the shelf. It wasn't that it was exceptionally bad, it just wasn't exceptionally good. My biggest complaint is the characters. I disliked both the main characters quite a lot, actually. I found myself liking the two boys in the story far more than I liked either of the girls. I'm not the kind of person who dislikes a character just because they have flaws, I believe that it makes them more realistic, but these characters had flaws that I just couldn't overlook. 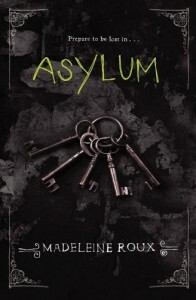 I think the author meant for some of Mandy's quirks to be endearing, but I just found them creepy. I felt like at times, Jill was unrealistic. I didn't find either of the characters likable, and while I acknowledge that it isn't a requirement for the main characters to be likable, I believe that they were meant to be liked in this book, and the author failed to make me even tolerate them. Plus, while there was some character development, I felt like there wasn't enough from this kind of book. I don't know where I stand as far as the plot is concerned. It took a little while for me to get into it, but after maybe fifty to seventy five pages, I did find the plot quite compelling. 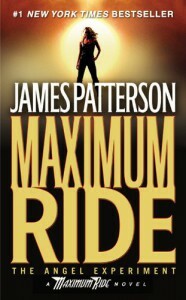 However, I don't really understand what the purpose of the book was, and I don't feel like the plot really went anywhere. I couldn't identify a real conflict, though I see what might be considered as the climax. While this book wasn't terrible, it wasn't as good as I thought it would be. Maybe my high expectations made the actual book pale in comparison, but I didn't really find it that good. I wouldn't call it a waste of my time or anything, because I think something can be gained from reading anything, even if it's of poor quality, but it took me longer than normal to finish. It could just be that this book just didn't resonate with me. It's one of those books that I would suggest to my friends, but if they wanted to read it, I wouldn't stop them. I avoided this book for a long time. I had heard about it, and, more importantly, what it was about, and despite fantastic reviews it was getting, I didn't want to read it. It sounded like a gimmick that served no purpose other than to make me cry, or something that was trying to be inspirational, and working far too hard. It wasn't until I began reading other John Green books that I trusted him and his writing enough to give this book a try. Firstly, this book is not gimmicky. It did not try too hard to be inspirational, though I'd be lying if I said that it didn't make me think. It's sole purpose was not to make you feel awful for these kids with cancer, or make you cry. I mean, you do feel bad for the kids, but the book didn't seek to gain your pity. It made the characters real, bigger than the cancer. At the heart of it all, it's a love story, and a good one, which just so happens to be tragic. Yes, there were parts that made me sob uncontrollably. However, there were also parts that had me nearly rolling around on the floor with laughter. The characters are very realistic. I haven't read a whole lot of caner novels, and I don't have cancer myself, so I can't be sure, but I feel like the characters act and think in accordance to how someone in their situation might act or think. They aren't perfect, but people in real life aren't perfect. Hazel is bitter, but can crack a joke, and she has a likable concern for her friends and family. Augustus is pretentious, but also has an admiral dedication for the people close to him, and, of course, a stellar sense of humor. They grow on you throughout the story, and I didn't realize how much I really cared for them until late into the story. Sometimes they made me sad, sometimes they made me angry, but I loved them all the same. This book was better than I expected, which might be difficult to believe, since it had such rave reviews. 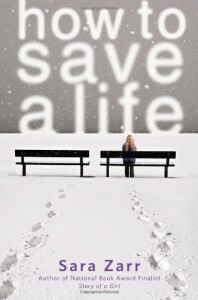 It isn't just a book about cancer, though it does heavily contribute to the plot. It's a book about people, and the challenges that they have to face in their lives. 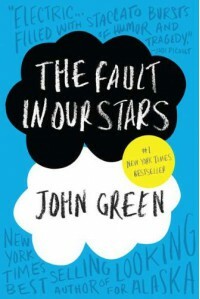 John Green handles everything beautifully, as always, and fails to disappoint.